See our map platform in action! We don't take lightly on bragging - but we do enjoy showing off our amazing maps. 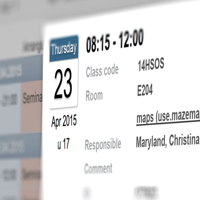 Collaborating with our customers, we are able to produce beautiful and user-friendly maps. Take a look yourself and see what you think. MazeMap is far more than a wayfinding tool, it is an indoor map platform that lets you illustrate anything on top of it. Indoor maps are the perfect starting point to visualize where things are located inside buildings, and monitor their status. 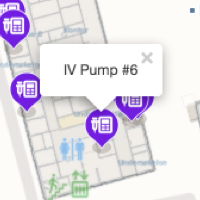 Below is a live example of how an asset tracking system could visualize the location of assets across a hospital campus using sensor data and MazeMap. Below is a live example of how you can visualize a large set of data points on top of the indoor maps. 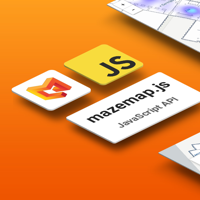 Using the built-in heatmap layer of the MazeMap JS API, it is easy to control the visualization style and what set of points you want to visualize. Want to discuss your need for maps? We would love to talk to you about your use-cases and see if we are able to help out. Contact us for a free, non-committal talk.